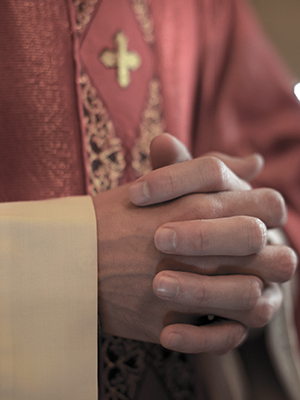 In 2002, the Diocese confirmed that Father Proud was undergoing treatment at St. Luke Institute following two allegations of sexual abuse against him. The Diocese reportedly removed Proud from his position at Annunciation Church in Oneida County because of the allegation of sexual abuse. A second allegation accused Proud of sexually abusing a man in the 1970s while Proud served at Christ the King Church in Liverpool. Proud was permanently removed from ministry in 2003 because of credible allegations of sexual abuse of minors.